This entry was posted on October 13, 2017 by nigel borrington. 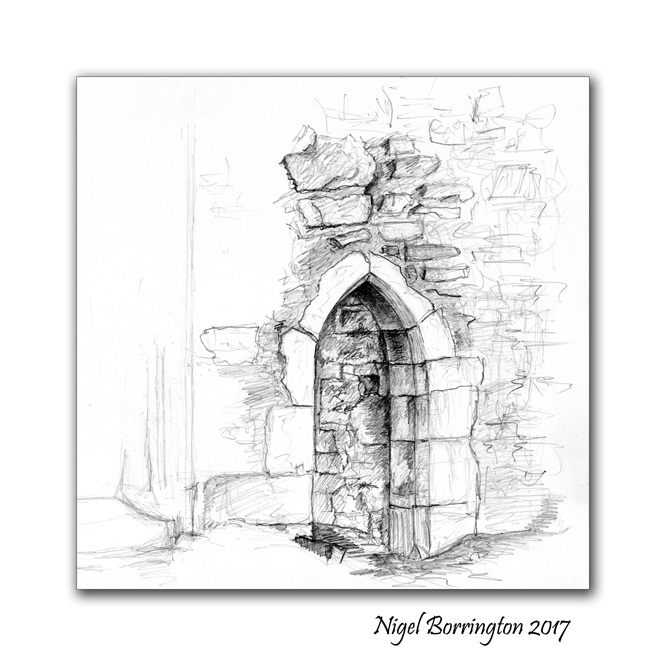 It was filed under drawings, pencil on paper and was tagged with drawings, Kilkenny, Nigel Borrington, One hour sketch, Pencil drawing, pencil on paper, Sketchbook, Tullaroan. Nigel, this sketch is absolutely beautiful. One of my interests, largely unexplored, are the old shopfronts fast disappearing from our towns and villages. Sean Rotary, formerly of UCD School of Architecture, did a lovely book on this topic with some very nice pen and ink sketched. The old shopfronts of County Kilkenny are deserving of your talent and sketchpad! !